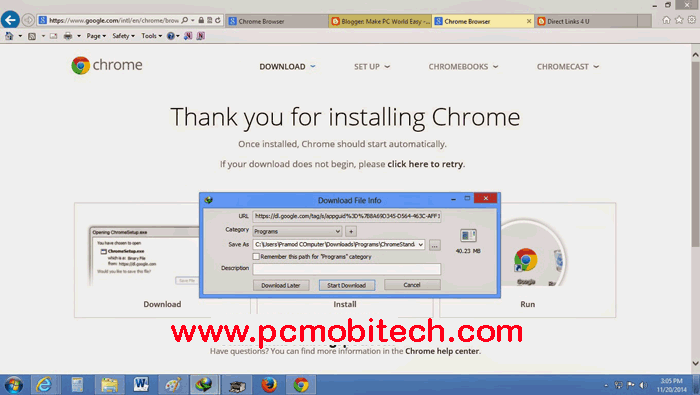 Google Chrome Offline Installer for Windows Vista, 7, 8, 8.1 and 10. Google Chrome is one of the most popular Web Browser in the world. It makes the web browsing faster, safer, and easier. When you want to download Google Chrome from official website then they only provide you online downloader, Which takes a long time to download & install. Or if your Computer does not have an internet connection then you can’t download it. 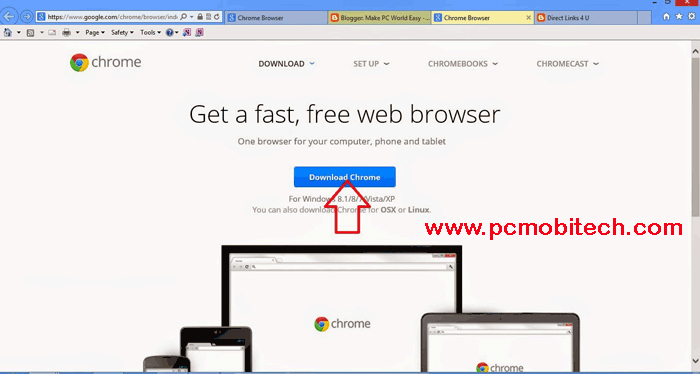 So if you facing Problem with downloading latest Google Chrome online installer. 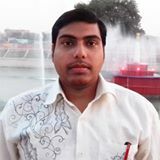 Here I’m sharing offline download links for latest Google Chrome Browser So you can download Google Chrome full version offline installer for Vista, 7 (seven), 8, 8.1 and Windows 10 from the official site. 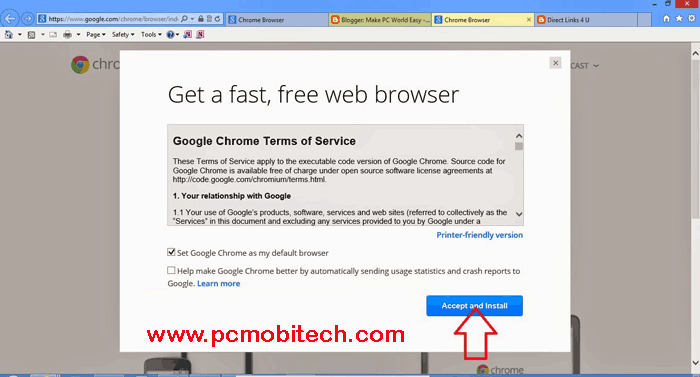 How to Download latest Google Chrome offline installer? For your own user account only, Download this chrome installer offline: Alternate installer for one user account. For all user accounts on your computer, Download this chrome installer offline: Alternate installer for all user accounts. 1- Click on Blue button “Download Chrome”. 2- Click on Blue button “Accept and Install”. 3- Now Save or Download your Latest Google Chrome Offline Installer File. How to stop unwanted news stories on Google Now. How to remove an app access from Google Drive? WhatsApp Desktop Client: Download, Install & Activate. If Links are not working then please report us. Thank you Pramod. I am Maria from Brunei. How to Lumia950 phone google chrome download process my Whatsapp message and video send.